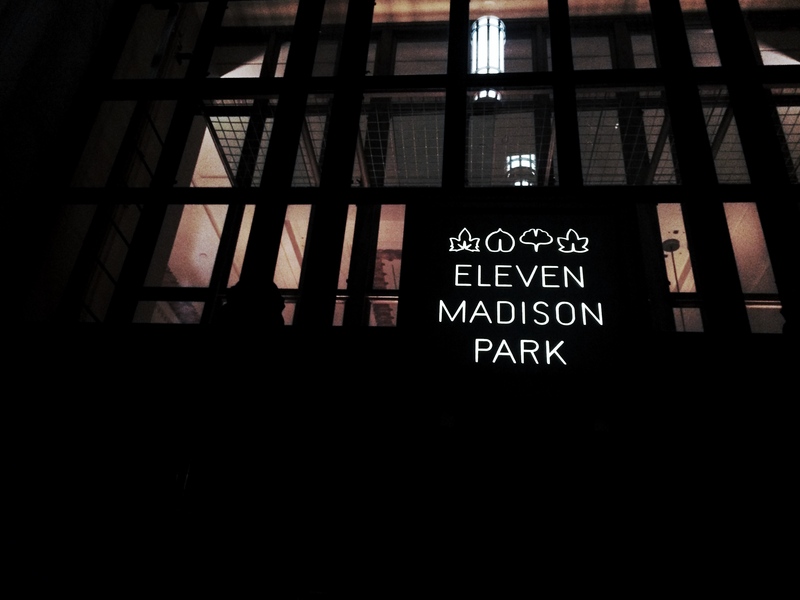 Eleven Madison Park… 3 Michelin stars and ranked #5 this year on the World’s Best list. 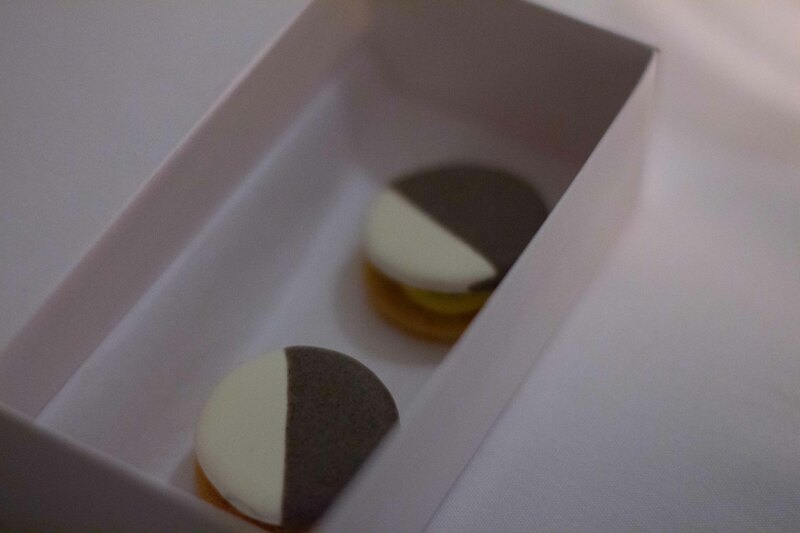 Chef Daniel Humm is one of the best of the best and being in New York for my birthday was the perfect reason to spoil myself with this peak experience. Judging from the eating I do, you may not think I need an excuse, but yes, I still feel I do. I understand that a multi-course Michelin star meal, painstakingly prepared and delicately plated is not something most people understand, or appreciate. But this is my vice. I am not a woman who cares for sparkly jewelry or a beautiful handbags. My indulgences always come in the form of a peak experience meal. One, where I have confidence from the moment I enter the room that all of my senses will be taken care of. I have, over the years, raised the bar of my experience meals to the point, where it seems, I have no ceiling. I say “seems”, because there are restaurants that even I feel have a price tag above where I can justify the meal. So while in Paris, Tokyo or New York, I can be dazzled by all the (Michelin) stars, I am careful in what I choose, because at this point, I still have a threshold that I adhere to. I am normally more careful of not spoiling myself by having more than 1 blowout meal per trip. I want to appreciate the meal and if I have more than one, I’m afraid it’ll feel like “too much”. But this year in NYC, I couldn’t help myself because I had 2 choices in my mind. 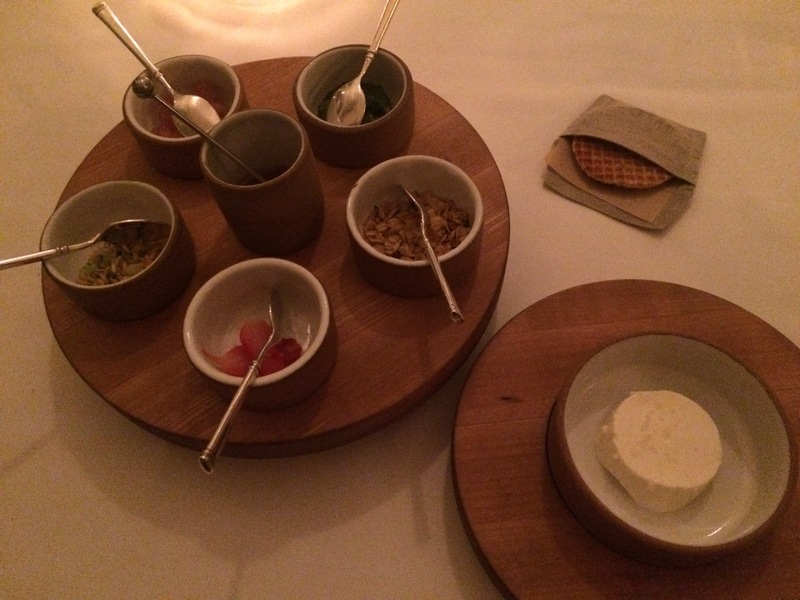 The Kitchen Table at Empellon and Eleven Madison Park (EMP) are so different, I couldn’t decide between them. I figured I’d try to get reservations for both and if I could only get 1, that would be the deciding factor. In the end OpenTable (for Empellon Cocina) and my Visa Concierge (for EMP) made the decision for me and I was going all out with 2 huge tasting meals during my 4 nights in New York. Happy Birthday to me! 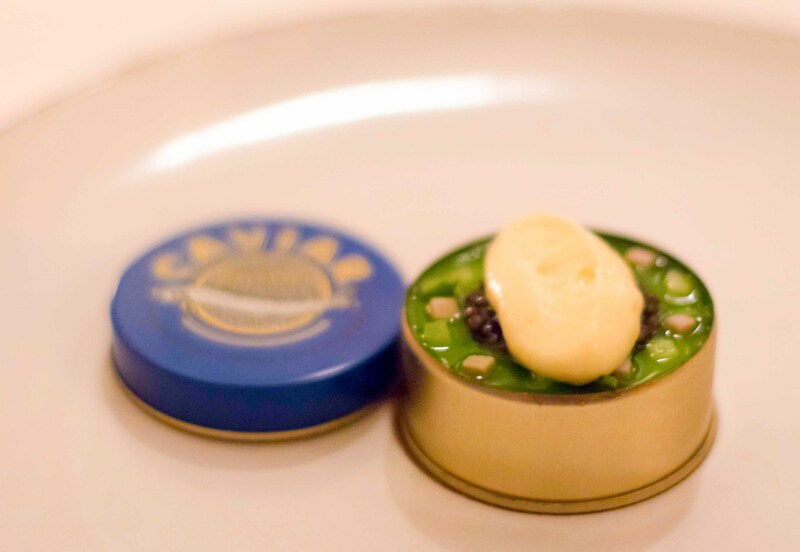 Unlike my previous pilgrimages to other highly anticipated restaurants, I didn’t do much advance preparation for my meal at Eleven Madison Park. I have been trying to go into my eating experiences more “blind”, in order to fully appreciate the element of surprise in a meal. But after my past few meals unprepared, I hadn’t decided if I prefer going in blind to having background information on the dishes when they’re served to me. I feel like research prior to a meal has helped me in remembering dishes more vividly afterwards. For my dinner at EMP, I do regret that I didn’t do more research beforehand. It’s a meal that I remember, but one that I wish could be etched in my memory. My reservation at EMP was for 9pm, which is a late start for a meal, they warn you in pre-visit email, will last up to 3 1/2 hours. But I’ve always felt that I’d rather start late and eat at my own pace than feel rushed through the first seating. 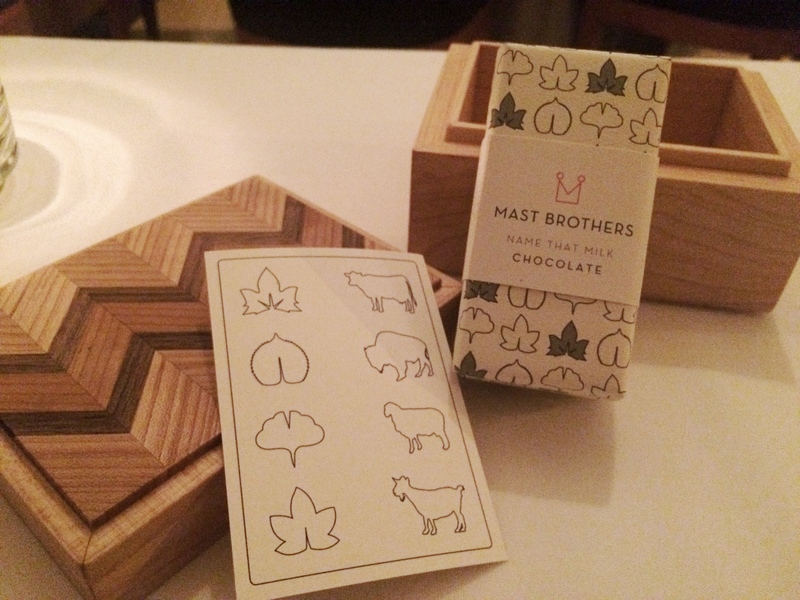 But then again, I believe (almost*) nothing feels rushed or out of place at Eleven Madison Park. We arrived a bit before 9pm and sat at the bar waiting for my table to be ready. I was giddy while enjoying my “bartender’s choice” cocktail, which was citrus-y and refreshing. The room was art deco-y and looked like an old bank, and was nothing like I’d pictured in my mind. I relaxed feeling like the energy in the room was sophisticated while not being stuffy, which is exactly what I want to feel going into an experience meal. We were seated a bit before 9:30 in a great corner table that overlooked the whole room. I was happy to be able to watch the carefully orchestrated movements of the service staff through out my meal. *I say almost nothing out of place, but as we were seated at our table, we found our feet slid into something slippery underneath. We discreetly mentioned this to the host and were whisked away to wait as they (and we) cleaned up. Paul Downie, the GM came as we waited to apologize profusely. It made me giggle a bit because I like imperfections and it’s also great to see how a restaurant of this calibre recovers from a hiccup of this sort. But I think the staff understood from my reaction that I am the ultimate understanding diner, wanting nothing to take away from my meal and helped to set my service expectations for the evening. Back at the table, there was a white box waiting on the table beckoning to be opened, but first there were decisions to make for the meal. Wine pairing? No. I wanted to start with bubbly and then be served glasses of wine that would go well with the courses I’d be served through the evening. 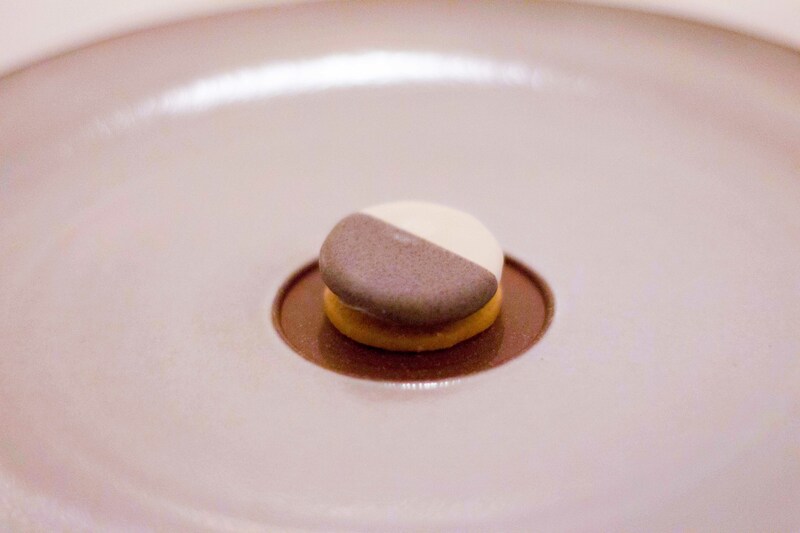 Hot or cold foie gras? We were strongly nudged towards hot, which was the decision. Duck or Veal? Again there was a nudge towards duck as their “signature”, and watching whole ducks being rolled out to numerous tables already, I could tell it was popular. 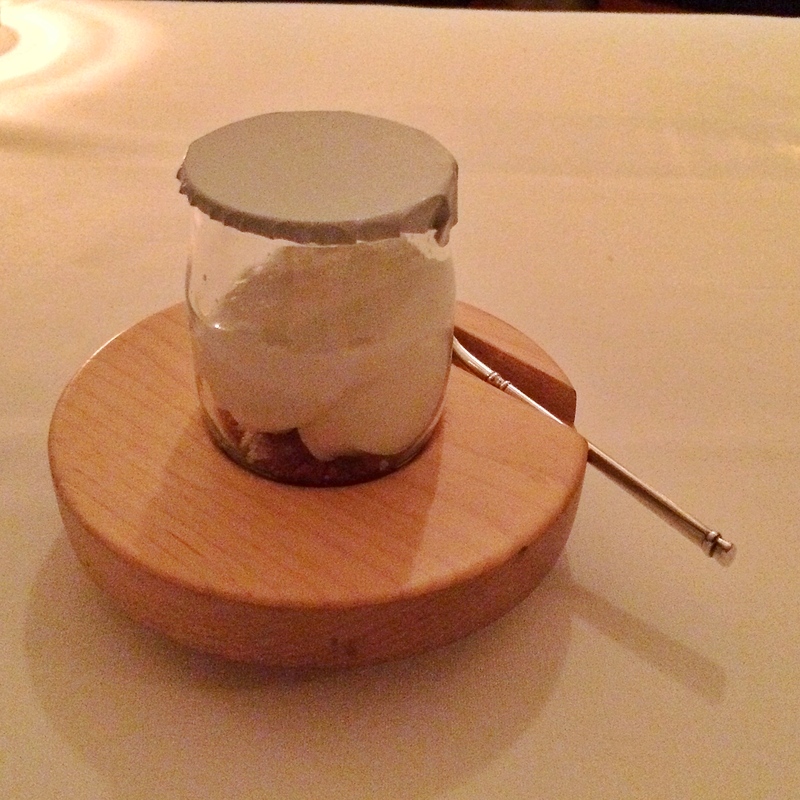 And with the choices done, it was time to begin the magical journey of my meal at Eleven Madison Park. 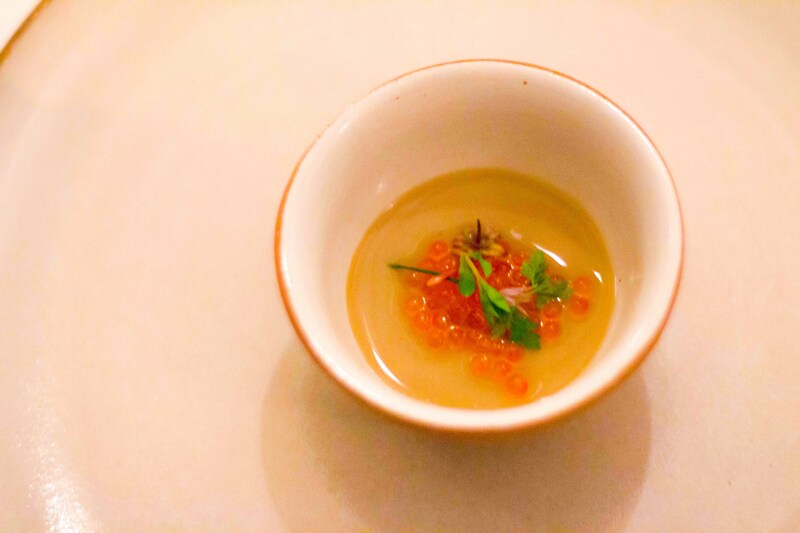 Morel custard with trout roe was delicate but with an earthiness brought to the sea with the salt of the trout roe. As I held the tiny cup in my hand trying to scoop out every last little dish, I felt grateful in the moment at my love and appreciation for good food. Glazed English peas with buffalo yogurt and garlic was stunning. 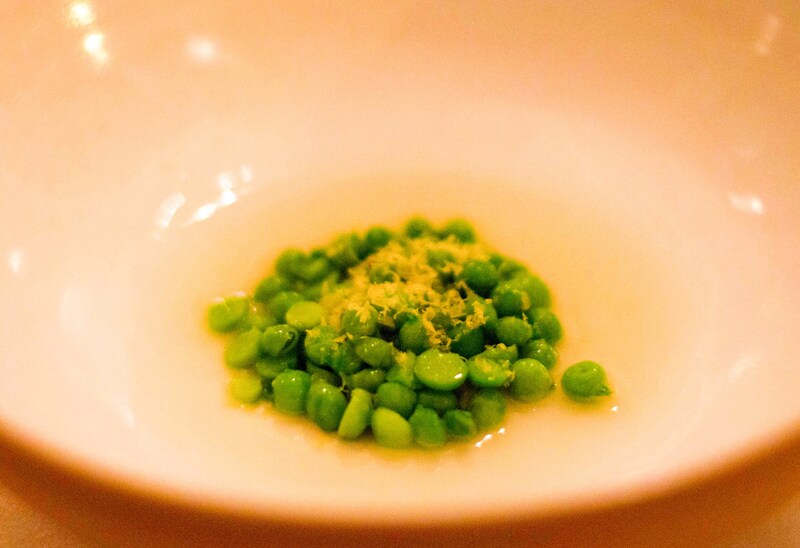 Peas as stunning? Yes, here they were bright pops of flavour that made my eyes widen = stunning. 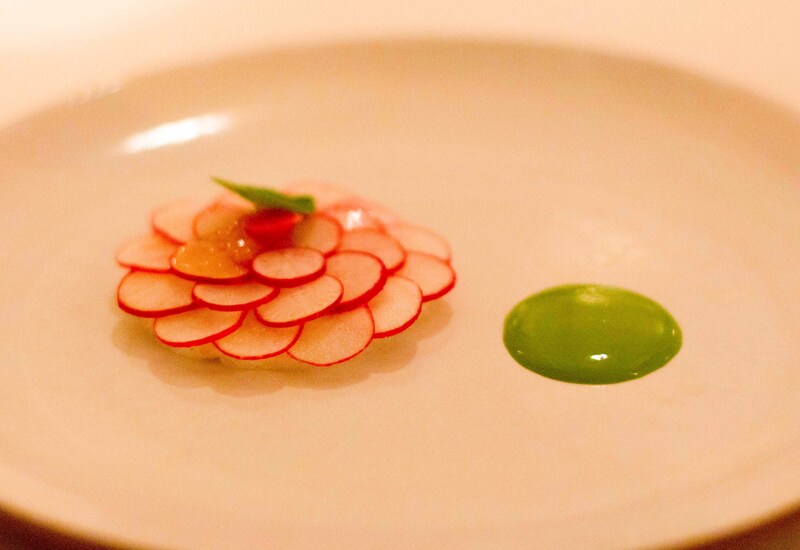 Radish salad with pike and nasturtium was almost too beautiful to eat. Caviar benedict with egg ham and asparagus served with tiny English muffins. Seared foie gras with sorrel and horseradish was decadent. 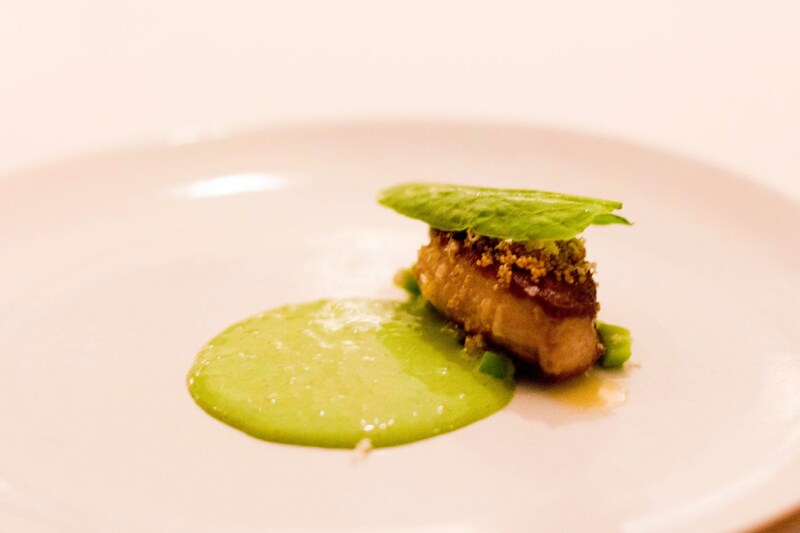 I was happy to have a seared foie gras preparation without the sweet contrast, which is how it seems to always be done now. The meal came with some table-side theatrics, which I guess is meant to liven the room and experience. 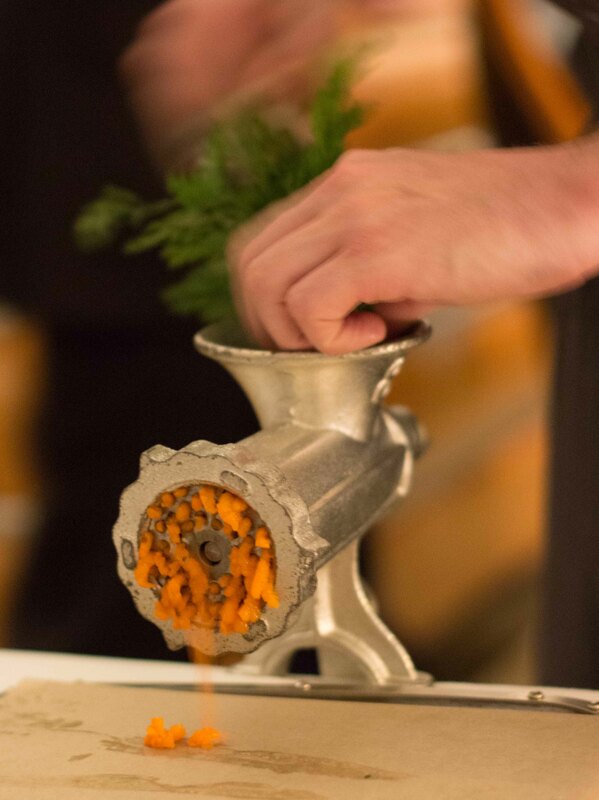 A meat grinder was attached to the table and fed carrots which made up the carrot tartare. 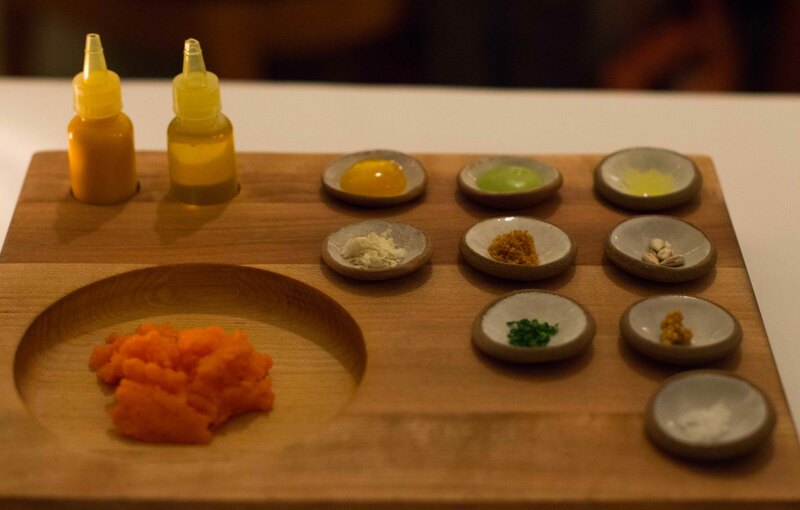 Carrot tartare with rye crisps and condiments was a fun interactive dish, where you could add the additions at your will. I love beef tartare and was somewhat skeptical of how this would be. But I must admit, with all of the fun additions, I didn’t miss the beef at all! 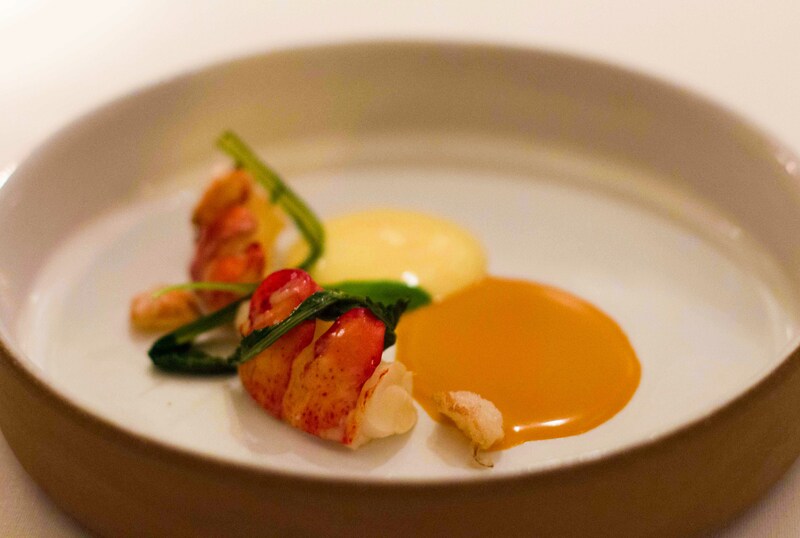 Butter poached lobster with dandelion and ginger. 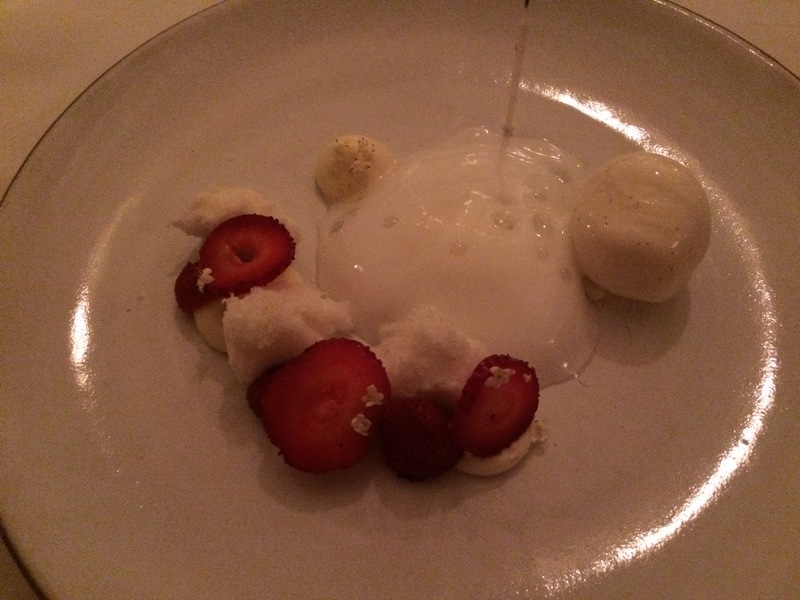 It felt weird to follow-up a dish so whimsical, to one so classic. But classic prepared perfectly is classic for a reason and I may or may not have used my finger to wipe this plate clean. 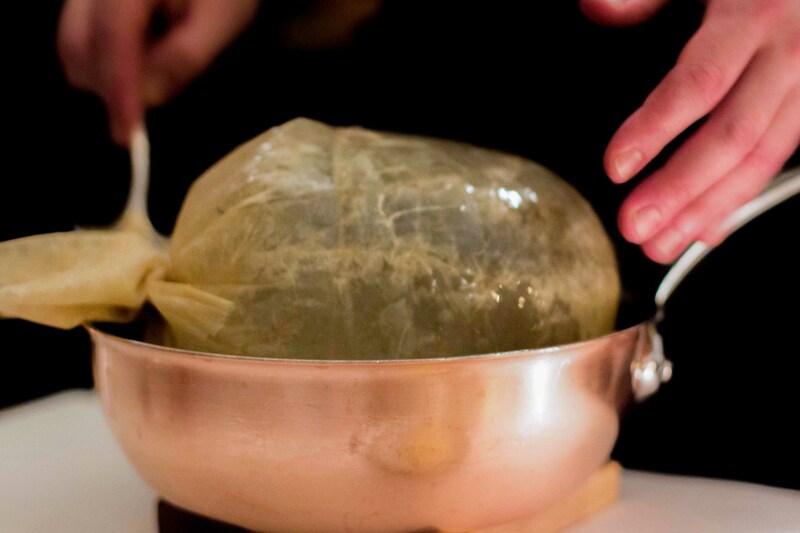 Pigs bladder arrives at the table to help the diner understand the preparation of the asparagus dish. Asparagus braised in pig’s bladder with potatoes and black truffle. 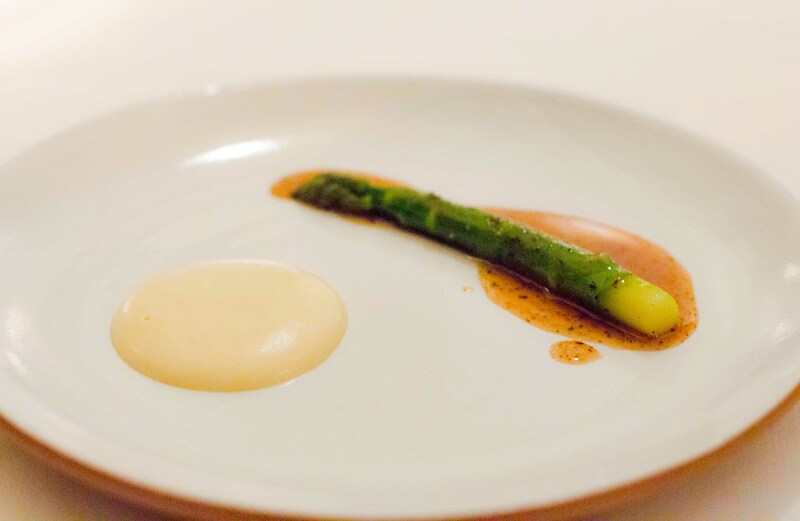 Did I appreciate this dish with the knowledge of how much work went into preparing the single asparagus stalk? Most definitely. Whole duck brought table side. 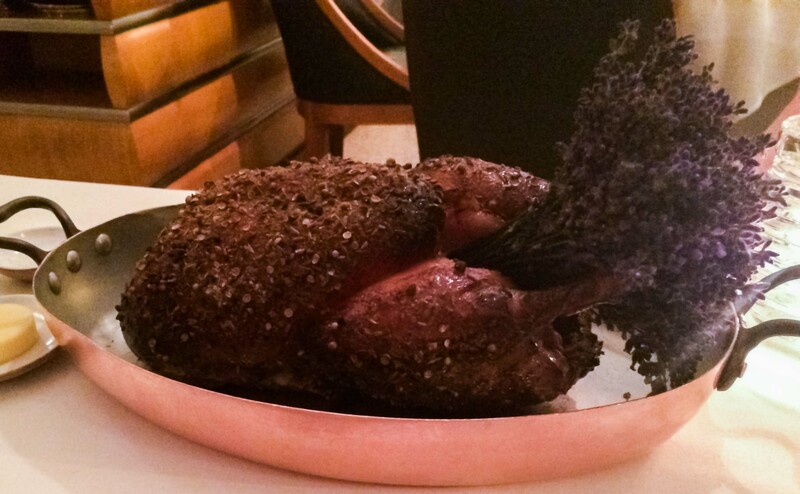 This was the presentation I couldn’t wrap my head around, knowing that I wasn’t going to be served the whole duck. I’m all for theatrics, but it has to be purposeful. 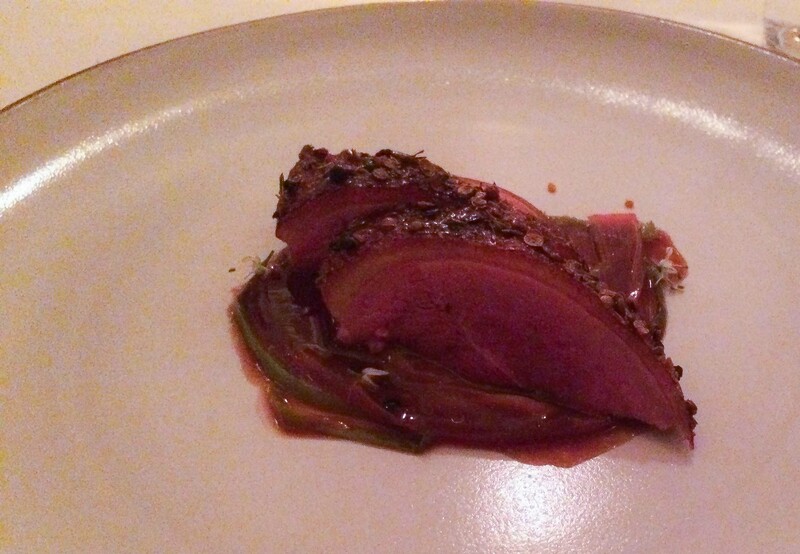 Roasted duck with lavender honey, rhubarb and spring onion. Crispy skin with wonderfully tender meat was perfect and (almost) made me stop wondering what they did with the rest of the duck they presented. Farmer’s cheese “sundae” with honey, rhubarb, sorrel and oats. Another “choose your own adventure” which made me giddy! Strawberry variations with vanilla and elderflower. The last last course of the meal was a chocolate pretzel with sea salt served alongside a bottle of what I remember to be apple brandy, which they leave at the table for you to enjoy as much as you want. But at that point, over 3 hours into an epic meal, as much as I wanted was less than a glass. The meal was done and I actually made it all the way through. Perhaps my meal at Empellon the night before stretched my stomach, but I’d like to think it was because the portion sizes were manageable and each bite so delicious. I left the restaurant feeling the glow of someone who had just experienced something very special. I am a lucky woman.